Due to the desire to shift towards a more sustainable energy system, new renewable energy sources are being integrated in the distribution grid, which challenges the traditional grid infrastructure. Microgrids are seen as a promising building block for realizing the future, smart, distribution grid (Smart grid), owing to, among other things, its ability for operating connected to the grid or islanded (See definition of connected and islanded operation below.). One of the main challenges with the islanded operation has been proper power sharing between parallel inverters supplying power to the common load. In this blog post (and the work it’s based on), we considered the effect of emulating an impedance in the control loop for providing a proper power sharing, which is a technique called virtual impedance. In particular, the modification consisted in considering the transient response of the virtual impedance. The considered test microgrid showed improved damping and power sharing. Before we get into the specific control proposal, let’s first consider what microgrids are, and why they are important. Microgrids are a popular term that has emerged in the electric power community in the recent years. The scientific community hasn’t been able to agree on a single definition on what it is, but some of the commonly used definitions emphasize that microgrids are geographically limited, encompassing both electricity production and consumption. A microgrid has clear electric boundaries towards the main grid, and can be operated connected to the main grid, or separated from it. The latter is called operating islanded. Microgrids are envisioned to be a building block for the future smart grid and are hence a hot topic of research. 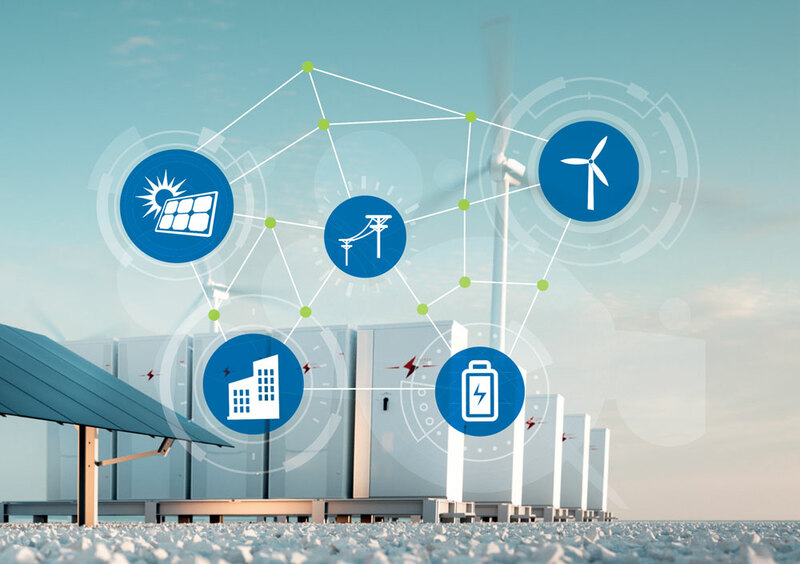 One of the advantages include improved reliability due to the possibility of operating islanded, as the microgrid can continue to operate even if there is an outage of the main grid. Another advantage is that it offers a way for distributed production, such as photovoltaic (solar power) or wind power systems, to be connected in closer proximity to where the power is used. That way, power doesn’t need to be transported over very long distances. This translates into reduced losses for the transmission of power. 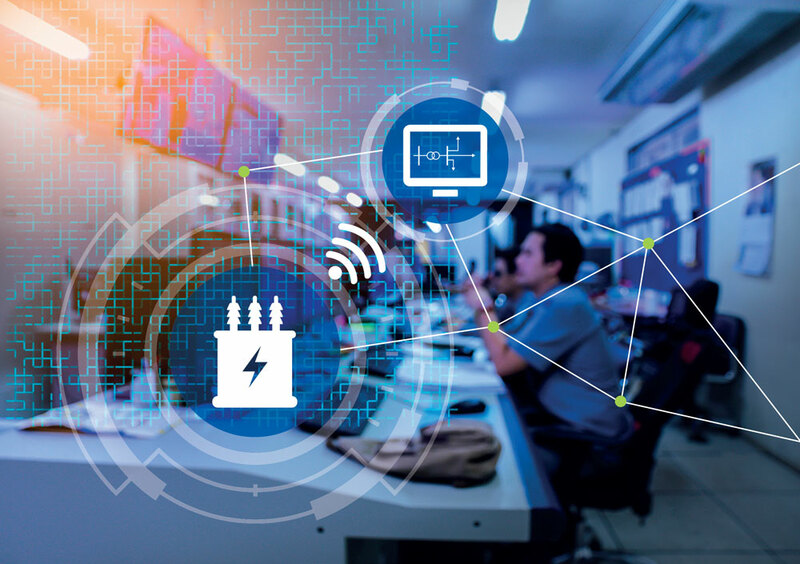 Microgrids can also support the main grid in situations where it otherwise would have been overloaded, or provide important services such as frequency regulation or voltage support. The radical change that distributed generation has brought about in the distribution grid has also paved the way for microgrids. However, microgrids does not only come with advantages. For instance, as the power grid was designed to facilitate power to flow from the main transmission grid, via the distribution grid to the end customers, protection equipment has been designed accordingly. As distributed energy sources are able to feed power from the traditional end consumer upwards in the grid, new protection schemes are needed that take into account that the power flow is bidirectional. Broadly speaking, there are two types of control structures; centralized and decentralized control, each of which have their own advantages and disadvantages. The centralized scheme has one main microgrid controller, which tells what other controllers located at each inverter should do. This approach performs quite well, but it is relying on the proper function of the main controller and that the communication network is up and running. Due to the reliability concern of the centralized approach, the decentralized control has received much attention. In this scheme, several inverters cooperate to establish the voltage and frequency and the grid. In contrast to the centralized scheme, this is done solely based on local measurements by each inverter, thereby removing the need for high speed communications. The largest advantage of the decentralized scheme is thus that the reliable operation of the microgrid doesn’t depend on any one unit. In other words, there is not one single unit that is indispensable for the microgrid to work properly. One of the drawbacks of the decentralized approach is that the ability for several inverters to share loads according to the rating of each inverter is highly dependent on feeder impedances and control parameters. Another drawback is that the transient response of the inverters after a disturbance occurs can be quite slow. This part of CINELDI work package 4 considers how the control of inverters in microgrids can be improved. This work in particular considered a decentralized type of control, due to the improved reliability. A commonly used control technique for addressing the issues mentioned above is to apply virtual impedances. In essence, a virtual impedance is a way of altering the control of an inverter so that it appears as though an additional impedance was inserted between the inverter and the load in the physical circuit. In other words, the control designer is able to change the effective impedance between the inverter and the load. In practice, this is done by measuring the current that is flowing in the feeder impedance branch and multiplying it with an appropriate impedance chosen by the designer. This is then used to alter the voltage reference of the converter. Although several types of impedances can be emulated by the control designer, typically it is designed to be what is known as quasi-stationary. What that means is that the emulated impedance replicates a real impedance only when the system is in steady state. On the other hand, real impedances behave differently than the quasi-stationary virtual impedance when a transient occurs. For instance, if the current through an inductor is changed, the voltage drop is the largest when the rate of change of the current is the largest. The main idea behind this work was therefore to investigate the effect of changing the virtual impedance, such that it more closely replicated the response of a real impedance. In particular, a virtual impedance consisting of a resistance and inductance was used. The virtual inductance was modelled to take into account the transient response of a real inductance. This was done by considering the derivative action of the feeder current. However, in order to be able to implement it in a real system, a low-pass filter with a high cut-off frequency was added, in order to limit noise to be amplified as well. In order to test the proposed change of the virtual impedance, a small signal analysis of an inverter was performed. A numerical simulation was also run for testing the validity. Based on the analysis and simulations of this work, it seems that the proposed virtual impedance can improve both the stability and transient sharing between inverters operating in islanded mode. The future work related to this work is to see how the virtual impedances can be set in a more optimal way, in order to achieve improved power quality of the microgrid.